Obituary – Robinson, Gary Dean « Perry High School Alumni Association, Inc. Band 61-65, Band Manager 62-63, Drum Captain 64-65. 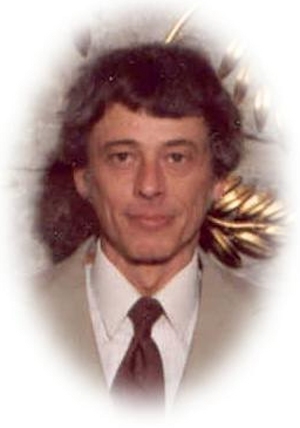 Gary D. Robinson, 57, of Oklahoma City, Oklahoma was the son of Don and Lorene (Zemp) Robinson. He was born on December 11, 1946 in Perry, Oklahoma and died Wednesday, December 24, 2003 at Integris Southwest Medical Center in Oklahoma City, Oklahoma. 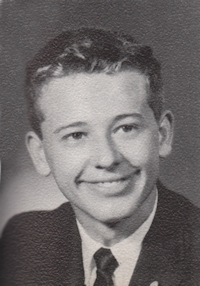 Gary was a 1965 graduate of Perry High School. He enlisted in the United States Air Force and received an honorable discharge in 1969. On June 12, 1970, Gary and Patricia Ann Sullivan were married in Perry, Oklahoma. He worked in the 135 Post Dock (aircraft maintenance) at Tinker Air Force Base until retiring in January 2001. Funeral services will be 2:00 p.m. Monday, December 29, 2003 at the Zion Lutheran Church in Perry, Oklahoma. Rev. Ben Mirtz will officiate. Interment will follow at Grace Hill Cemetery. Services are under the direction of Brown-Dugger Funeral Home. There will be a family visitation from 6:00 to 8:00 p.m. Sunday, December 28, 2003 at the Brown-Dugger Funeral Home. Memorial contributions may be made to the charity of the donors choice in care of Brown-Dugger Funeral Home. Gary is survived by his wife of 33 years, Pat (Sullivan) Robinson; one son, Troy Robinson of Oklahoma City, Oklahoma; one daughter, Shelly Robinson of Oklahoma City, Oklahoma; three grandsons, Damien Hawkins, Zane Hawkins and Christian Robinson, all of Oklahoma City, Oklahoma; one sister, Sherry Adams and her husband, Max and one nephew, Scott Adams of Perry, Oklahoma. He was preceded in death by his parents, Don and Lorene Robinson; grandparents, Cliff and Dora Robinson, Henry and Sue Zemp and one uncle, Edwin Zemp.